The next episode of Boruto: Naruto Next Generations is going to explore something fans have wanted for quite a while. Mitsuki is one of the more mysterious elements of the new series, and now fans will get to see how he was born. After revealing that Orochimaru is indeed Mitsuki’s father in an earlier episode, Episode 39 of the series will be a deep dive into how Orochimaru came into contact with him. 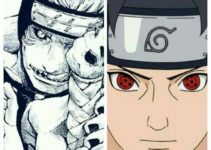 On December 27, the anime will adapt one of the last Naruto stories Kishimoto wrote himself, Naruto Gaiden: The Road Illuminated by the Full Moon. This story was published in Shuiesha’s Weekly Shonen Jump in 2016 and focuses on Mitsuki’s origins. The preview for the episode teases that Mitsuki wakes up without any memory of his past, and that he finds himself in Orochimaru’s lab without knowing who he is. Then all Orochimaru can tell him is that he needs to complete his “mission,” as the rest of the preview teases how his resolve for becoming a full fledged shinobi will come to be. If you are familiar with Naruto, then you may already know about Mitsuki’s background. The one-shot introduces Mitsuki as the child awakes under Orochimaru’s care. Having lost his memories, the synthetically created ninja is tasked with finding a man named Log as he stole Mitsuki’s memories. The story winds up pitting Mitsuki up against a tough decision as he must decide to either follow Log, Orochimaru, or forge his own destiny. 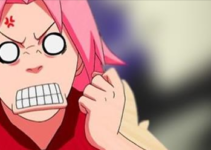 In the end, Mitsuki chooses the latter and escapes to the Leaf Village. However, the boy left not knowing his ultimate decision was what Orochimaru had actually been hoping for. 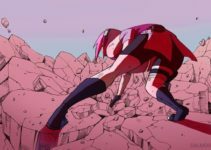 Fans of the anime are sure happy the Boruto group have made their way out of the academy as well as it sets up an arc that will adapt the events of Boruto – Naruto the Movie. For those unfamiliar with Naruto, it has quite a storied history. Originally created by Masashi Kishimoto, the series ran in Shueisha’s Weekly Shonen Jump for 700 chapters. The story follows Naruto, a young ninja with a sealed demon within him that wishes to become the leader of his home village. The sequel, Boruto: Naruto Next Generations is set several years after the events of the original Naruto story and featuring the children of many of its key characters such as Naruto and Hinata.